Okay guys, I hope you are ready for a long one. 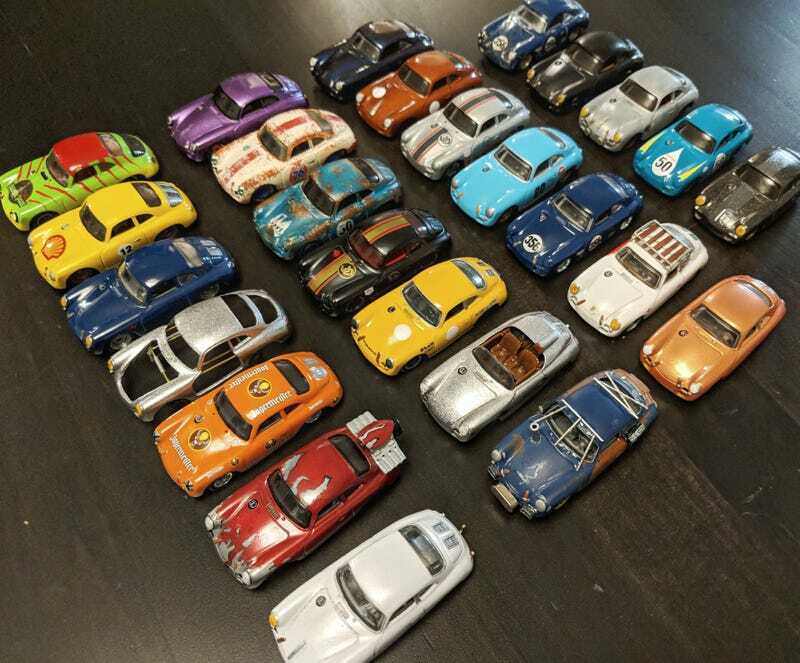 I tallied up all the 356 coupes in my collection last night and came to 26. This includes the stock ones, ones I’ve customized myself, and ones others have customized for me. This does not include the 8 or 9 I’ve customized and sent to new and loving homes. But suffice it to say there are a LOT of 356s coming your way, so strap in tight, lads, it’ll be a bumpy and slow ride. Because 356s aren’t particularly fast. Get it? Heh. 8. Copper Cafe Racer. Still my favorite. 11. Shiftyswifty, painted in colorshift by Noodles, detailed by me. So with the four stock ones, that makes 37 356s total. And I have one commissioned one on the way soon! Thanks for sticking it out with me, guys!